Car locks pose many difficulties. Keys don’t insert into the door lock like they are supposed to. The ignition has intermittent start problems. You move too quickly and the next thing you know, you have a broken portion of key in your car lock. These are all dilemmas with which we can help. We can extract broken keys, repair automotive door locks and eliminate intermittent ignition problems. Often you can bring the car to us and have us service your locks while at our store. We can also come to you to solve the problem. Another option is to remove the car lock yourself (this saves you money) and let us service the car lock at our store. What do you do if a criminal has vandalized your door lock while trying to break into your car? Call us to discuss your options to repair or replace the vandalized lock and get a free estimate. Sometimes a car door lock appears to be vandalized because your key will not fully insert. Often, the car door lock merely needs lubrication, sometimes, the lock needs to be serviced and have offending wafers replaced or, in worst case scenarios, the lock needs to be replaced. Car ignition locks pose another set of challenges. Sometimes your key won’t fully insert. A lock that has not been serviced and in need of lubrication will exhibit those symptoms. Lubricate your lock and insertion problems will diminish. Unfortunately, lubrication is not the only dilemma that appears in car ignition locks. Sometimes internal components like springs or wafers might fail preventing the key and cylinder from turning or the key from fully inserting. You might have a key that fully inserts and even turns the ignition but the car still does not start. This could be a transponder failure. Today’s electronic car keys or “smart chip” keys use transponder technology to thwart automobile theft. If your car is transponder equipped and you have a key that turns the ignition but does not start the car, you might have a transponder failure. Bring your car to us and we will perform a complimentary diagnostic. 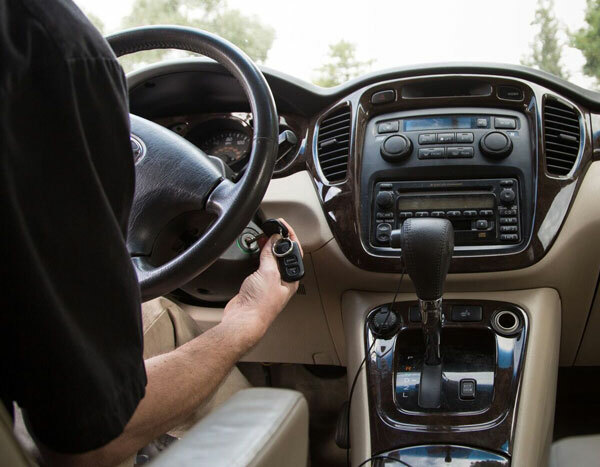 Call us to schedule an appointment and we can discuss what is required to get your car locks back to operational, whether they are car door or ignition locks. For residential service. For commercial building service. For automotive key/locks or remotes.